Tutorial Install Rainmeter Skin. 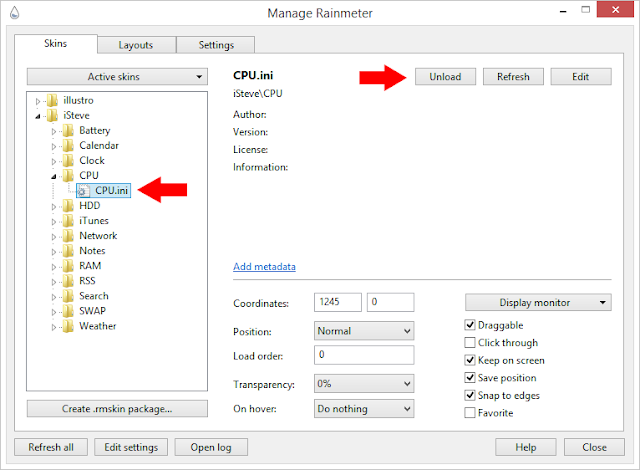 Hello everyone, today I want to tell you how to install rainmeter skins on your PC. First of all you must have rainmeters software. 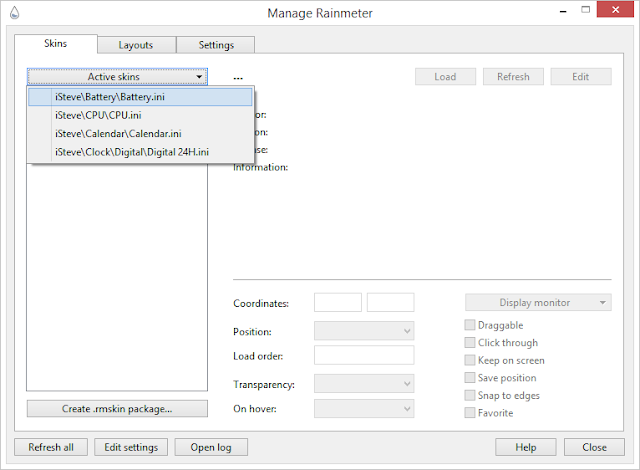 You can download free rainmeter software from official site on Rainmeter.net. 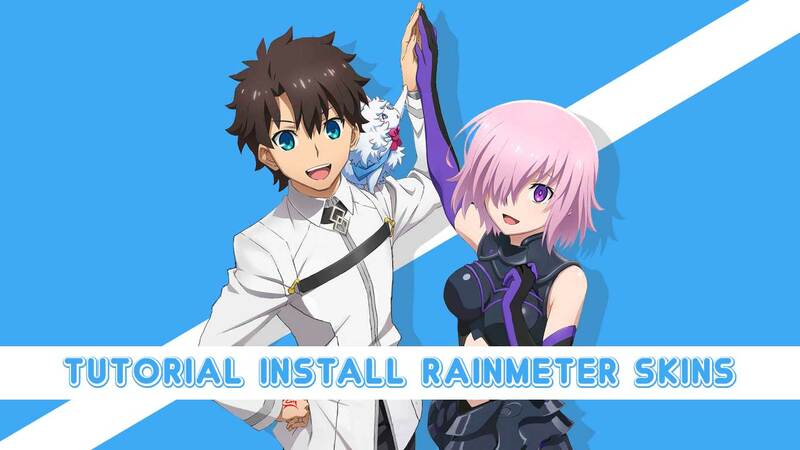 For windows 7 users strongly recommended to install rainmeter version 3.3.2 and for windows 8 or 8.1 and windows 10 user you can install rainmeter version 3.3.2 or higher version. 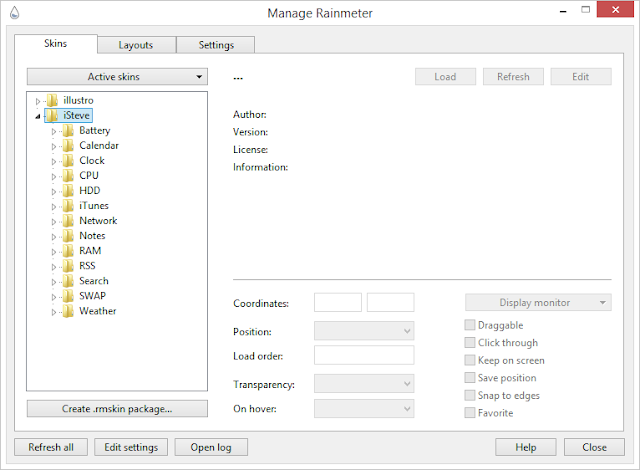 Download Rainmeter version 3.3.2 via Google Drive or Mediafire. 1. Rainmeter Software, you must install this first and I think you know how to install software on your PC. 2. 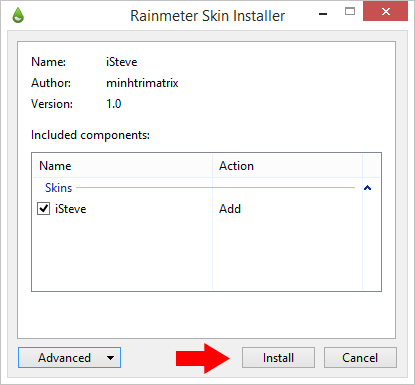 Double click ".rmskin" file to start installing. 2. Copy folder of skins on Documents\Rainmeter\Skins\"Place folder skins Here" or C:\Users\"Your PC Name"\Documents\Rainmeter\Skins\"Place folder skins Here"
If you have many load style of skins and really hard to find style of skins you was loaded, you can follow this steps to easy unload style of skins. 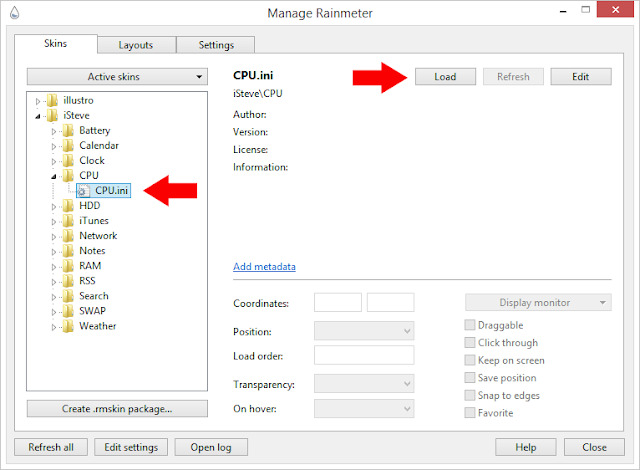 If you have any question, you can ask me from contact form or you can publish your question from comment box of this article. Have fun and enjoy the skins.